Jail or Prison Time: Even first time domestic violence misdemeanor cases generally require jail time. Sometimes that jail time can be done on an alternative sentencing such as work project, but not always. Felony domestic violence cases generally require substantial jail or prison time. Formal Probation: A conviction for a domestic violence charge requires the convicted person to report directly to a probation officer. This differs from informal probation where the convicted party never has to actually see a probation officer. Generally, the probation department will require the probationer to check in with probation once per month. Sometimes there is a requirement for more frequent check ins and sometimes less frequent. Formal probation usually starts out by the participant going to the probation office and meeting with their probation officer. Eventually, most probationers are put on telephone or electronic reporting, where they make a call monthly to check in with probation. Often probationers are required to submit to drug and alcohol screening to the probation officer. Also because domestic violence probationers are ban from having firearms, there is a search term in their probation. That means that the probation officer will come to the probationers home, without an appointment and search the probationer and any areas which the probationer has access. Domestic Violence Class: The law requires a person convicted of domestic violence to complete a 52 weeks of domestic violence classes. The class is 1 hour per week and lasts for 52 weeks. The participant is only allowed a limited number of absences. It is very rigid and those who do not go to the class will have their probation violated. Generally, success requires participant participation, feedback to other participants, learning conflict resolution and most importantly attendance. Protective Order: The Court will issue a protective order for those convicted of domestic violence. The protective order could be as simple as a “do not annoy, harass, strike, threaten” type of an order. That type of order means the convicted person can still be around the named victim, but they have to be nice. On the other hand, the court can issue a stay away order, meaning the convicted person has to move out of the home and stay completely away, having no contact with the named victim. Search Waiver: The Fourth Amendment of the United States Constitution provides that people cannot be subject to unreasonable search and seizure. At its basic premise you cannot be searched in your home without the government getting a warrant. However, as a condition of probation that you agree to before getting probation, you agree to allow the government to invade your personal areas in exchange for not being put in jail or prison. Family Law: Domestic violence convictions can be used against you in family court. For example if you are the primary caretaker for the child, that may change after a conviction. That could result in less child support or no child support at all. Also, if you are not the primary caretaker, your role in the child’s life could be further diminished by the court and you could be required to pay more child support. Licensing/Work: Those who hold special licenses for work will find themselves at the mercy of the board who issues those licenses. For example, a nurse, doctor, lawyer, accountant, real estate broker and sales person, and many other professional licenses are issued by the State of California. A domestic violence conviction can adversely affect your license. In many cases, you will lose your license and therefore your lively hood. 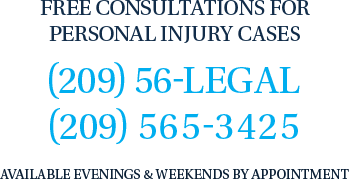 We always recommend our clients to consult with a licensing attorney before making a decision about their criminal case. Even if you do not hold a special license, you could lose your job because of a domestic violence conviction. Domestic violence convictions are considered crimes of moral turpitude, which means the wrongdoer has a “readiness to do evil.” Many employers will terminate employees with this type of conviction. In addition, future employment could be tough to get with this type of conviction. Immigration Consequences: There are consequences of pleading guilty or no contest to a domestic violence charge. First, if you are not a citizen of the United States you will suffer immigration consequences which include being deported from the United States and reentry to the Country being denied. Firearms Ban: The current law mandates that a person convicted of a domestic violence charge, even a misdemeanor will suffer a LIFETIME FIREARMS BAN. If convicted of domestic violence you will not be able to legally own or possess firearms or ammunition for life under federal law. (see "Lautenberg Amendment") Besides the federal ban, under California law a misdemeanor domestic violence conviction imposes a 10 year ban on firearms and ammunition ownership or possession Any felony conviction for any crime comes with a lifetime firearms ban under both federal and state law.